A retreat. 5-15 people get together somewhere nice and spend time together breathing, praying, and falling in love -- again and/or more deeply -- with scripture such that it nourishes and energizes YOU in an enduring and contagious way. There would be plenty of time during a multi-day retreat for optional one-on-one and/or small-group conversation in a supportive, relaxed setting with plenty of room for questions and doubts. The topic is flexible (though I have a few potential ones in mind). The region is flexible, and if there's sufficient interest in more than one region, I'll schedule retreats in different places as long as I've still got availability. So far, the leading contender is New England for a retreat on the Gospel According to Luke. As soon as I hear from a sufficient number of interested folks, I'll get to work hammering out the details. I'm rather sad to think this summer might be the last time I'll be free to do this for a while, but I look forward to meeting folks face-to-face as much as time allows! Please pardon a post here that's personal news combined with (gulp!) a commercial announcement (and one that I've all but duplicated on Grace Notes at that!). I'm planning to do just that -- starting, I think, with the start of the church year in Advent. I'm just trying to find ways to make it work, but I'm hitting something of a stride, and I think -- with your help -- I can do it. I'm starting to catch my breath after the initial rush of demands from starting a job. Yes, as some of you have seen on Facebook and Twitter, I'm now working full-time for Guitar Center. Work in retail is tiring in some ways, but it hits the spot for my extroverted side, and it also uses some of my skills in listening (people talk -- verbally and with non-verbal cues -- about what they like, want, and need, and I reflect it back to them in a way that helps them recognize that), teaching (helping people make INFORMED decisions), and communication. 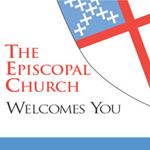 Furthermore, The Episcopal Church's General Convention is coming up in July. I need to be there, for reasons that will become clear soon, and I very much want to be there, offering the kind of take on convention that I offered via The Witness magazine when it was still being published, and also raising my voice when I can and it's appropriate around important pieces of legislation. But airfare and two weeks of staying in a hotel -- even the über-cheap one I've managed to find and reserve a room for, and even when one cooks a lot of meals in a toaster oven or microwave, as I plan to do -- isn't cheap, and after paying seminary tuition for two years, I know I'm going to have to scramble hard between now and June to get through convention without an insane credit card balance. So full-time work was needed at least until I could cover convention expenses. And with that, I'll return for now to alternating catching my breath and doing some scrambling for sales this month so I can carve out extra time to start lectionary blogging again in Advent. I do hope that you haven't found this post obnoxiously commercial, and please accept my apologies if you have. I'm just trying to figure out how to do the rather unconventional mix of things I do as a freelance theologian for God's reign, and to pay the bills at the same time. Sometimes, the territory feels strange to me, so if it is for you too, I'm grateful for your openness to potentially successful experiments and patience with the ones that go awry. Blessings -- and thank you, as ever, for your support, encouragement, and reading on!